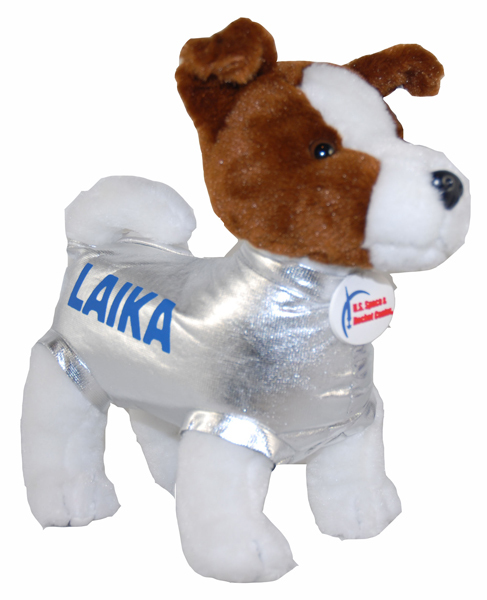 Laika was a Soviet space dog that was the first animal to orbit the Earth. She was launched into outer space on November 3, 1957. Thanks to Laika she paved the way for human spaceflight proving that a living passenger could survive being launched into orbit and endure weightlessness. Our Laika measures 12" tall and 13" from nose to tail!